A groundbreaking ceremony for an innovative new in-patient service takes place in Pontardawe, Neath Port Talbot next week. 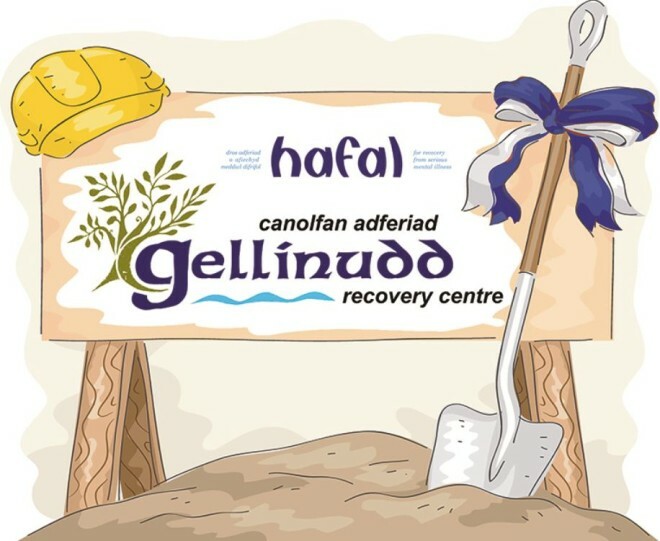 Hafal, the principal organisation in Wales for people recovering from serious mental illness and their carers, will be holding the ceremony at its new Gellinudd Recovery Centre, Lon Catwg, Pontardawe, Neath Port Talbot, SA8 3DX on Wednesday 22nd June 2016 from 10:30am to 11.30am. Gellinudd Recovery Centre, which has received funding from the Big Lottery and the Welsh Government, will provide a unique service in Wales, giving service commissioners the option of a not-for-profit service delivered by a Third Sector organisation which has a strong recovery ethos and is run by people with direct experience of mental illness. Guests at the groundbreaking event will have the opportunity to tour the new Centre and hear about Hafal’s plans for the development of the service, which will formally open its doors in October 2016. Alison Guyatt, Director of the new Centre, said: “We are delighted to be holding a groundbreaking ceremony at the new site and to see building work commence.